In the future, man’s best friend is a gas mask. Over the past years in videogames we’ve been able to experience a world post nuclear attacks and struggle against new enemies, scavenge around for tools, and try and survive to see another day. 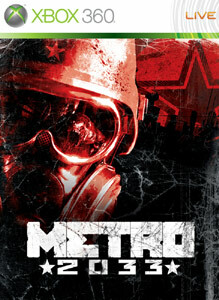 Metro 2033 was released in March of 2010, and gave us a different take on that type of experience. I finally had a chance to play the game, and I was pretty impressed. Taking elements from Fallout, Bioshock, and a little Silent Hill mixed in, Metro delivers a world full of desperation, and as Russian survivor Artyom, you can experience a new take on life after the nuclear apocalypse and looking for a way to improve life. 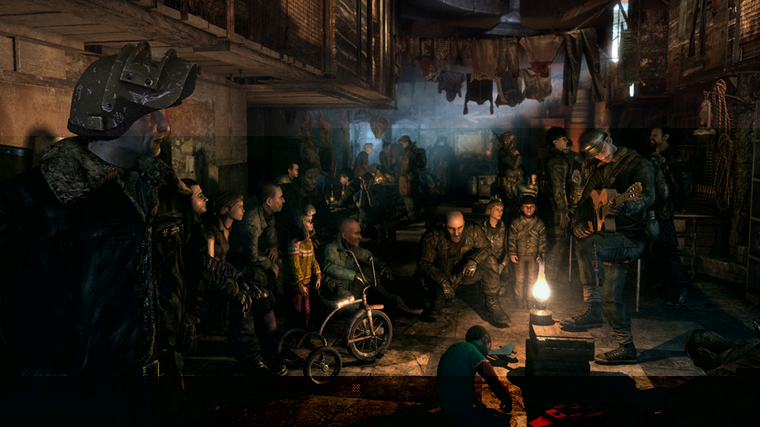 Like with many Post-apocalyptic games, Metro introduces creatures who have emerged and changed due to the nuclear effects. 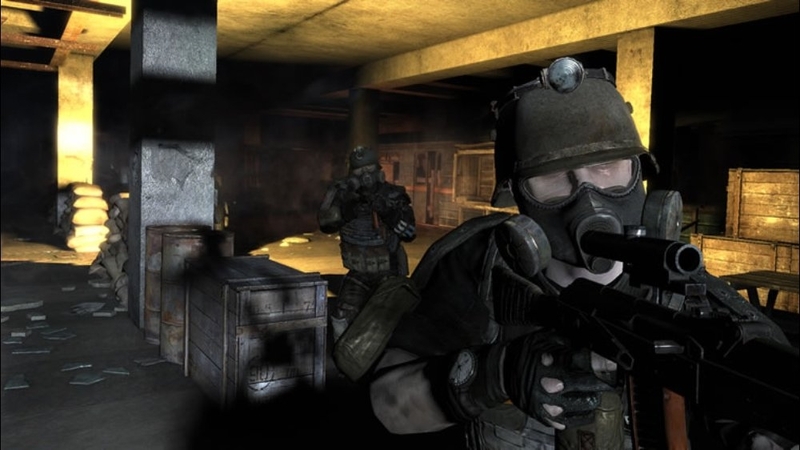 The nosalies are the common type, and these creatures have found a way into Artyom’s Metro home, so to protect his people, he embarks on a way to rid the Metro of these creatures. Throughout the game you’ll learn of a bigger threat: The Dark Ones. These creatures are more intelligent than the common enemies and appear to be sending a message to Arytom. It isn’t clear until the end what they want, but based on your decisions, the ending can be changed. Like with Fallout 3 and New Vegas, the world of Metro 2033 has adopted a new currency to use: Bullets. Depending on the quality of bullets you find, you will be able to purchase new weapons, gas fillers, ammo for specific guns, and med kits. You’ll be engaging with the enemy in different areas, and having ammo to use is crucial to survival, but the thing about the game is that your currency is also your current ammo. Every bullet will count. Literally. 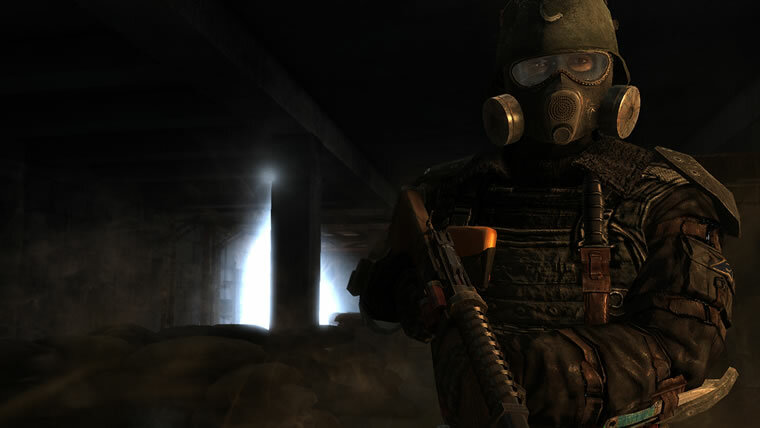 The surface in Metro 2033 is so badly damaged that traversing the dead land requires a gas mask. You have a watch that determines the amount of radiation in your area, and since there is essentially no HUD, you will have to regularly check your watch for the levels and how much air you have left in the mask. In fights, your mask can damaged, so you really have to be careful when fighting on the surface since Gas masks are a bit harder to come by then ammo and weapons. There were a few times I was stuck during the game because I was scrambling to find more air for the masks, and once you run out you have only about 20 seconds to live before Artyom succumbs to the contaminated air. It’s pretty intense, but can also be a bit annoying, especially on the harder difficulties when your health runs down even faster. 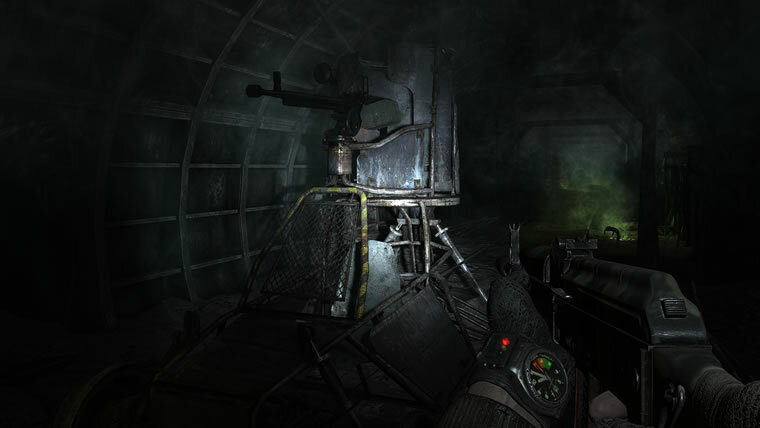 The greatest feature about Metro 2033 has got the be the atmosphere of the game. You’ll see tons of people all grouped in the small Metros and overhear conversations of bored and hungry children, and the yells of merchants hoping to make some deals off the goods they have just received. The Russian dialogue is great as well as the creatures you will face. There are truly some pretty scary moments in 2033, and I rarely get scared from playing a game. The surface looks pretty nice in a nuclear explosion kind of way and feels almost depressing to look around. In this world, the people have no place to go except underground while the radiated creatures roam the surface looking for anything to eat or kill.